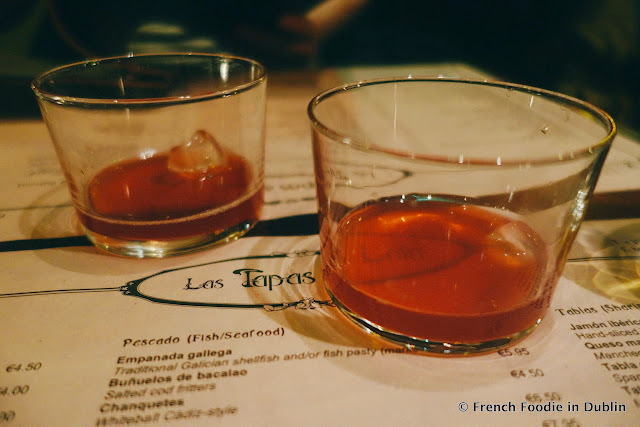 Mr. FFID felt like doing something nice... on a Tuesday... so we decided to head to Las Tapas de Lola. 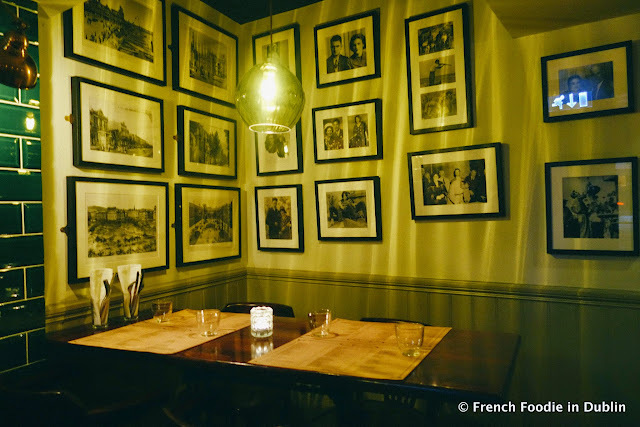 It's a tapas restaurant located on Wexford Street and co-owned by Dubliner Vanessa and Barcelona native Anna. 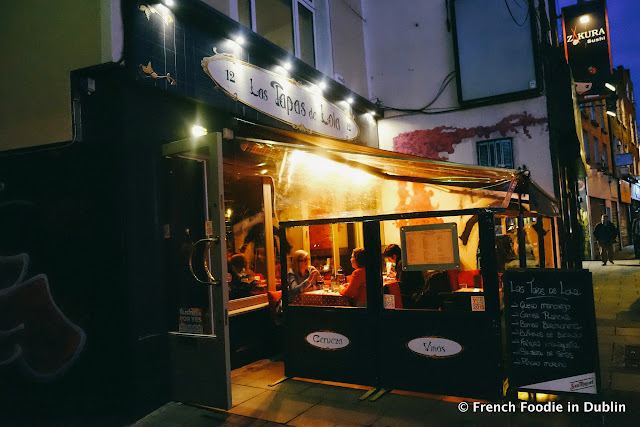 It opened a few years ago and it always seems busy, even during weekdays. There is a covered outdoor area and a lovely piece of street art out the front and the dining room inside is welcoming and simply decorated. Bistro style chairs and tables, green tiles, black boards and red cushions, it actually feels like you could be in Barcelona. We were brought to the table by one of the owners and then warmly, it couldn't be warmer to be honest, greeted by a Spanish man. A complimentary glass of tinto verano was brought to our table, a refreshing drink of red wine and soda. 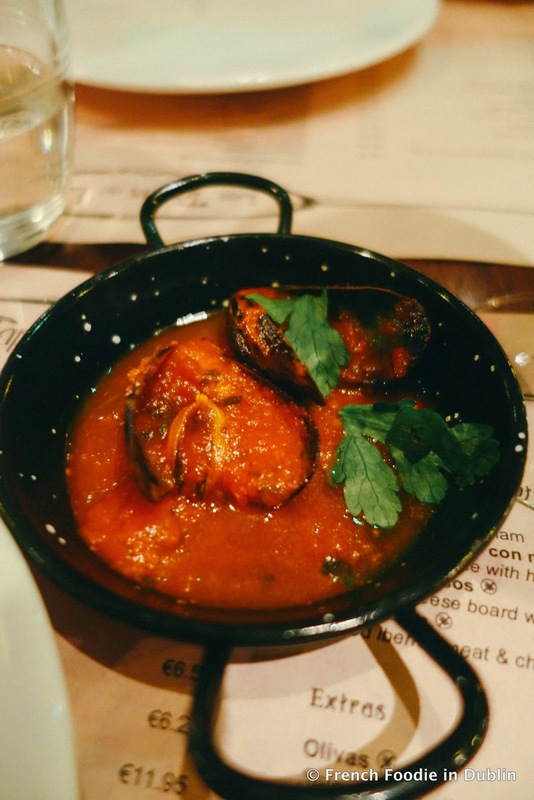 The tapas menu is extensive, almost overwhelming. It's divided into several sections: meat, fish and shellfish, boards, salads, vegetarian dishes and desserts. Prices are very reasonable and while you have the classics you'll find in any tapas restaurants there are also plenty of lesser known options. Before our plates arrived a little amuse bouche of mussels in a tomato sauce was served to open our appetite, I like little touches like this. 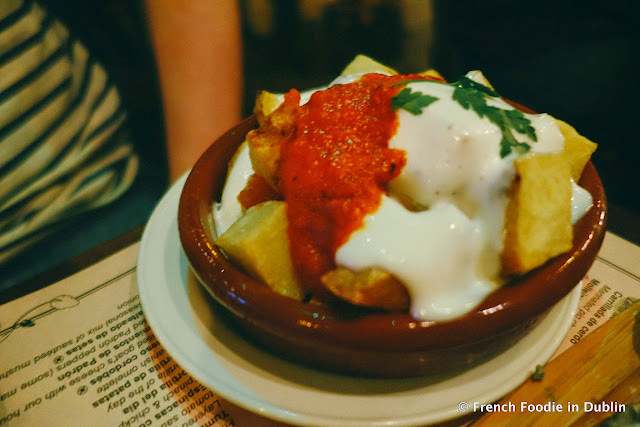 Our patatas bravas were lovely cubes of fried potatoes with a spicy tomato sauce and aioli sauce (€4.25). 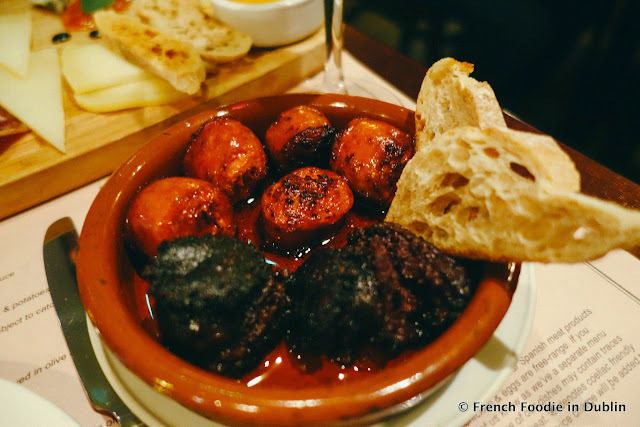 The fried chorizo and Spanish black pudding (€6.50) was served with slivers of bread, quite greasy and not for the heart-fainted but totally delicious. We also had lamb sweetbreads (€6.50) which were sautéed in sherry with garlic (lots of it) and parsley, the portion was very generous. It didn't photograph very well though, hence the lack of a picture. Because we have a good (maybe too good) appetite we also had a mixed platter of cheese and meat (€17.50). It was my favourite part of the meal, you could tell it was quality. 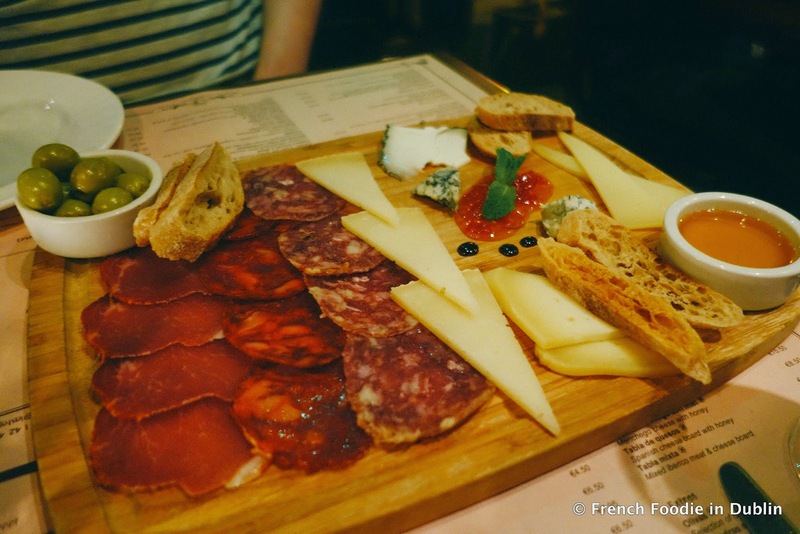 There was lomo (cured pork), chorizo, salchichon (cured sausage) and a good selection of cheese (Manchego, Tetilla, a goat cheese and a French Comté). 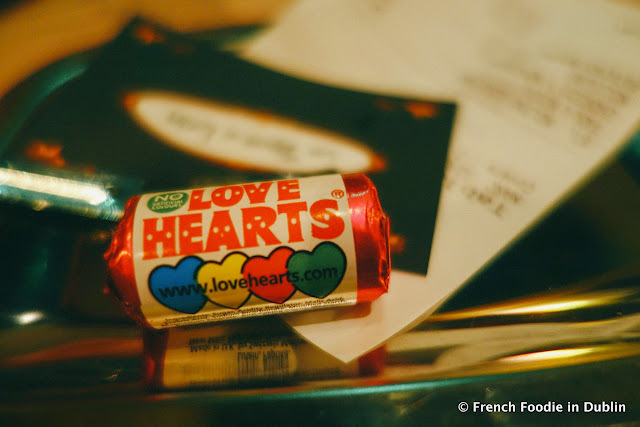 And what's not to love about a restaurant where you're given love hearts at the end of your meal? 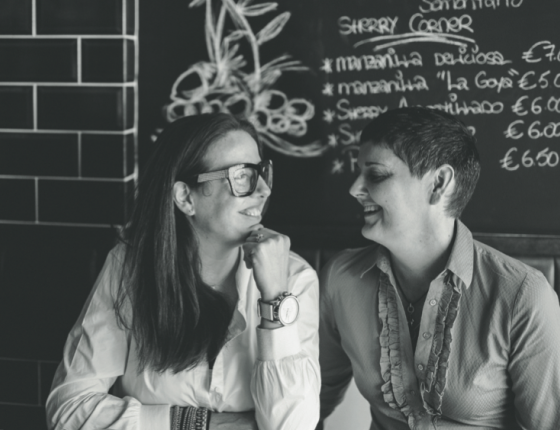 What I didn't tell you at the start is that Anna and Vanessa are more than business partners, they're a couple, they love each other and you can feel that love in their restaurant. I thought today was the perfect timing to post my review considering the Irish people are going to vote today in the marriage equality referendum. I don't have Irish citizenship and unfortunately I won't be able to vote but I sincerely hope most of Irish people will vote yes. There is nothing more beautiful than wanting to spend the rest of your life with the person you love, everyone deserves this right. Yes to equality, love and happiness.